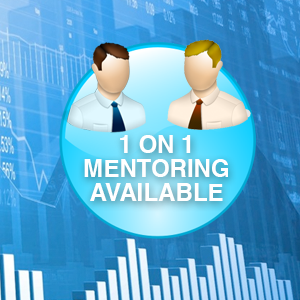 Whether you are new to options trading or are looking to learn advanced strategies, 1 on 1 options mentoring is customized to help you progress as a trader. Each session takes place over the phone and internet starting with an easy to follow PowerPoint presentation, which is then later followed by real-time examples to help you better understand each segment. I’ll go through examples of trades I’m making and what brings me to act on a particular stock or option. Study sheets can also be provided to apply your newfound skills. Basic option strategies including the long call, long put, covered call, and more. Intermediate option strategies including the bull/bear call spread, bull/bear put spread, long/short call calendar spread, long/short put calendar spread, and more. Advanced options strategies including the long call butterfly, long put butterfly, long iron condor, and more. Depending on what topics you need to advance your trading career, course durations can range from just a couple sessions to a dozen or more (sessions range from 1-2 hours each). Given that everyone learns and processes the stock and option markets at a different pace, sessions are now priced at an hourly or bi-hourly rate. One hour sessions start at $55 and two hour sessions start at just $99 (discounts are available for multiple session purchases of 3+). Sessions can take place during market hours, mornings or evenings during the work week, and on select times over the weekend. Email me at Mitchell@OptionsRiskManagement.com to schedule a risk free, initial assessment phone call to determine your goals, current experience level, availability to take your customized course, and/or for multiple session purchases at a discount (individual sessions can be purchased below).